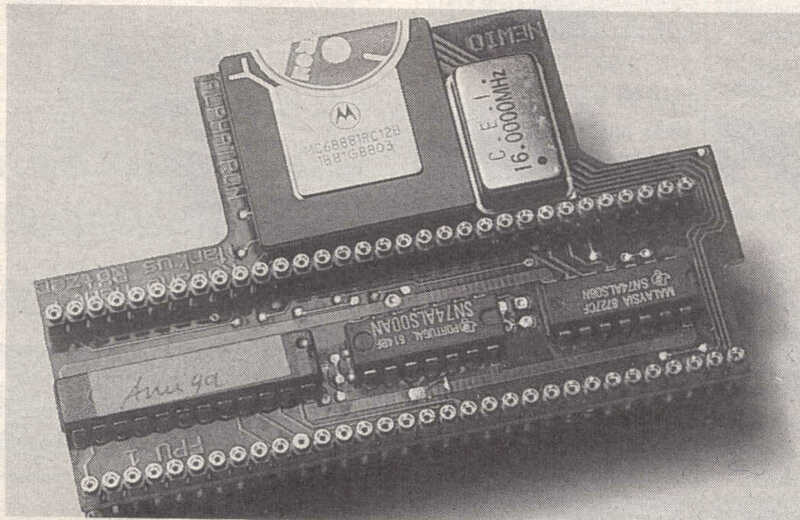 The Alphatron Coprocessor conatins a 68881 FPU with an extra quartz clocked at 16 MHz. There is no memory expansion on the board so that only programs which consider a FPU can benefit from this expansion. 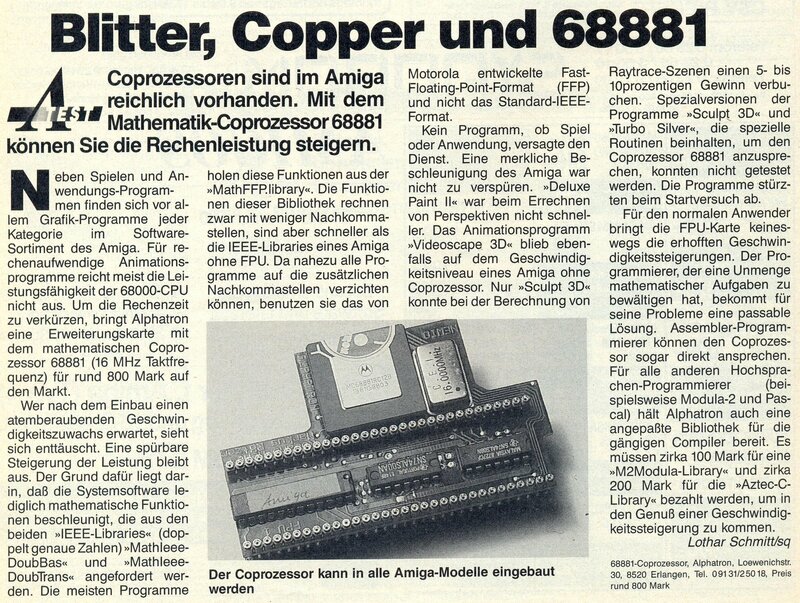 However, special 68881-versions of the programs Sculpt 3D and Turbo Silver were reported to crash on startup with the Alphatron 68881. Adapted libraries for software development with M2Modula and Aztec-C were available from Alphatron for an extra charge.